Patience and Persistence Pay Off At Waynesfield! 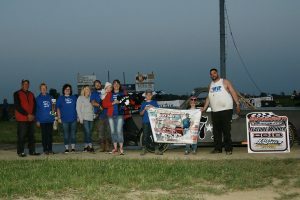 WAYNESFIELD, OH (6/02/2018) – In what became a night of emotion and first time wins, the Blue-Collar Showcase left no disappointment at the Waynesfield Raceway Park on Saturday June the 2nd. 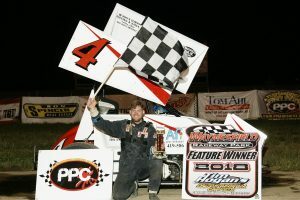 Following four classes of racing, two of which saw drivers getting their first ever career victories and one class honoring a long time race supporter, led to a night of high emotions, high excitement, and multiple first at “The Field”. 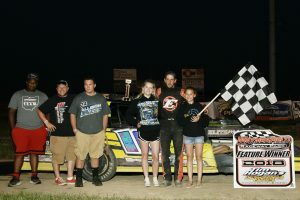 The Block Insurance Tough Trucks ran the rescheduled Jeff Augustine Memorial Truck race, followed by the return of the Satellite Connections UMP Modifieds, the Performance Powder Coating AMSA Mini Sprints, and the Indian Lake Outfitters Compact divisions. Four divisions of racing with a large crowd in tow allowed for a night full of excitement, tears, and everything the sport of racing is meant to be. The 37J of Roy Miller lost his ten year sponsor this past winter following the unexpected death of Jeff Augustine. To honor his years of dedication to Miller and to the sport of racing, Miller created what became known as the Jeff Augustine Memorial Truck Race. With the help of multiple local companies and gracious donors, extra money was added to tonight’s truck feature event, and for the first time ever at the Waynesfield Raceway Park, the Tough Trucks went four wide for their wave lap, honoring the late Augustine. Miller himself led the field during the wave lap, with Jeff Augustine’s name proudly remaining a supporter on the 37J. The Tough Trucks feature race was dominated from start to finish by the 71 of Chris Hicks. Hicks picked up the opening night feature win of the 2018 season and found himself able to put his black and grey number 71 back in victory lane ahead of the 18 car field. Despite a fantastic race battle between Devon Helmig, Gabe Twining, 12th starting Kyle Fields, and Frankie Weight up front, it was all Hicks from start to finish leading the rest of the field. Hicks the driver out of Ft. Jennings, OH, was last years track champion for the Block Insurance Tough Trucks and has won the season championship four of the past eight years. He dedicated this win to his uncle after he unexpectedly passed away this past week. 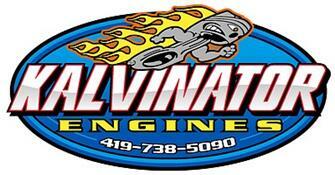 The Tough Trucks return back to action next Saturday June 9th for the Meet the Drivers Night. 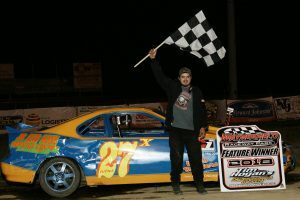 Last season’s UMP Modifieds track champion Jeff Koz showed Saturday night that he knows a thing or two about driving around the 1/3rd mile, and that patience in any race can pay off at the end. The driver out of Lima, OH started third in the feature event behind the track record holder Weasel Phlipot and a fast Josh Morton. Koz and Phlipot were the evenings top two qualifiers ahead of the 27 car field, with Morton himself qualifying 9th. The field would go green for 20 laps with Morton leading 15 of the 20. A battle behind Morton between Koz, Scottie Williams, Phlipot, and Tony Anderson found themselves racing two, three, and even four wide at times as Morton had managed to build up almost a two second lead ahead of the rest of the field. But as Jeff Koz showed Saturday, very little had changed for him in the off season as he managed to reel in the 20m. He showed the patience of a veteran driver, and would eventually pass for the lead as the five to go signal was waved. Once Koz passed for the lead, he would remain the leader for the final five laps and drive his 16 car back into the Tim Hogan’s Carpet & Flooring of Lima victory lane. 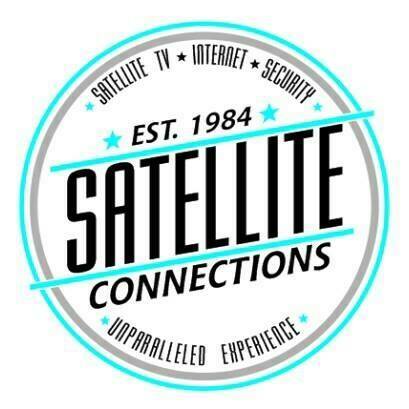 The Satellite Connections UMP Modifieds return back to action June 23rd for the Night of Speed. The final two classes of the night proved once again that persistence can pay off, and pay off it did indeed for the pole setter in the Performance Powder Coating AMSA Mini Sprint division. Andrew Heitkamp managed to hold off a four car battle behind him and lead all 20 laps of the Mini Sprint feature event. The driver out of NorthStar, OH or better known as the “Mild Child”, picked up his first ever career win at the Waynesfield Raceway Park. Heitkamp climbed out of his white and red number four on the front stretch in front of a crowd full of cheering fans and remained very humble and thankful in victory lane. 2nd starting Brad Racer, Ron Coleman, Brad Strunk, and Nick Daugherty put on a show alone worth the price of admission as they battled for positions two through five. But it was all Heitkamp as he was able to pull himself away from the field, despite multiple cautions, and a hard charging rest of the pack. Heitkamp finished last season 13th in points in the Mini Sprint division and has started his season with two top fifteens and now a trip to victory lane. 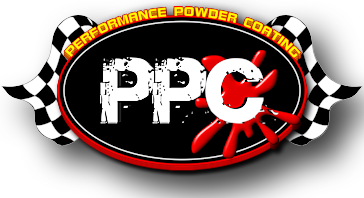 The Performance Powder Coating AMSA Mini Sprints return back to action next Saturday June 9th, as they join the card for the Meet the Drivers Night. As persistence was key in the Mini Sprint feature event, the storyline remained similar in the fifteen lap feature for the Indian Lake Outfitters Compact division. Robbie Tuttle, the driver of the blue and yellow number 27x found himself starting on the pole for the evenings feature race, and managed to hold on to put his car into victory lane for the first time ever in his career. Tuttle, with tears showing in his eyes and who was overjoyed with emotion in victory lane, thanked his crew, his friends, and family for the years they had put into the 27x, and to finally be able to find themselves up front to pick up a long waited victory. Tuttle wasn’t alone though as he had another intense battle behind him between Justin Durflinger, Brandon McDaries, and Ryan Okuley. Those three drivers would swap positions multiple times throughout the fifteen lap feature, with McDaries quickly closing in on the race leader. The final lap would be paced with Tuttle out front and McDaries on the rear bumper of the 27x, but Tuttle was able to block him from ever being able to pass, and scored himself a trip to victory lane after over 10 seasons of battling. 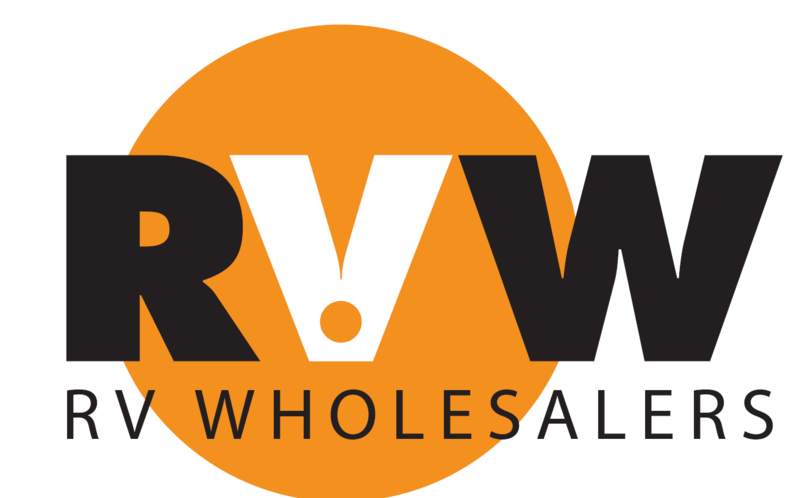 The Indian Lake Outfitters Compact division returns to also join next weekends line up for the Meet the Drivers night on June 9th. Waynesfield Raceway Park returns back to action next Saturday June 9th for the Meet the Drivers Night featuring the Quest Federal Credit Union Non Wing Sprint cars, the Performance Powder Coating AMSA Mini Sprints, the Block Insurance Agency Tough Trucks, and the Indian Lake Outfitters Compact division. 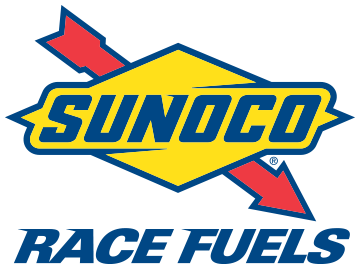 This night is generally a fan favorite as multiple drivers will be located on the front stretch, signing autographs and giving out prizes to fans of all ages. Four classes of racing on deck at “The Field” for just $12 adult tickets, $6 ages 11-15, 10 and under as always are FREE, and pit admission is just $25. Pit gates open at 4pm, general admission at 5pm, hot laps at 6pm, and racing at 7pm! 16-Jeff Koz ; 2. 20M-Josh Morton ; 3. 1W-Scottie Williams ; 4. 52-Weasel Phlipot ; 5. 22T-Tony Anderson ; 6. ZERO-Brent Hole ; 7. 4G-Bill Griffith ; 8. 95J-Jerry Bowersock ; 9. M1G-Matt Twining ; 10. 21T-Tom Treon ; 11. 112-Chris Ullery ; 12. 20K-Bill Keeler ; 13. 27-Frankie Paladino ; 14. 118-Gunnar Lucius ; 15. 55S-Zach Schroeder ; 16. 24-Terry Grilliot ; 17. 9C-Troy Cattarene ; 18. 45P-Brian Post ; 19. 58P-Jim Post ; 20. 4J-David Treon, Jr. Previous story Blue-Collar Showcase Set For This Weekend!